Massachusetts state troopers did relief work to help Puerto Rico recover from Hurricane Maria, which struck in September. After a morning of directing traffic in 90-degree heat in Carolina, Puerto Rico, Massachusetts State Police Trooper Eugene Lawrence returned to his cruiser and found a note. Lawrence saved the note as a memento from his October trip to Puerto Rico, where he and other state troopers did relief work to help the island recover from Hurricane Maria, which struck in September. Lawrence, Lieutenant Carmelo Ayuso, and Trooper Luis DeJesus gathered Tuesday at Troop F headquarters at Logan International Airport to discuss their experiences doing relief work on the island. All three have relatives in Puerto Rico, and Ayuso and DeJesus once lived there. Bills in the House and Senate treat Puerto Rico as a foreign jurisdiction. 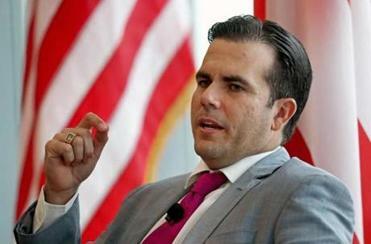 As a result, its exports to the mainland would face major new taxes, Ricardo Rosselló said. “The amount of damage — it was unbelievable. It was very emotional for me, still is, to think about it,” said Ayuso, who spent two weeks on the island in November. 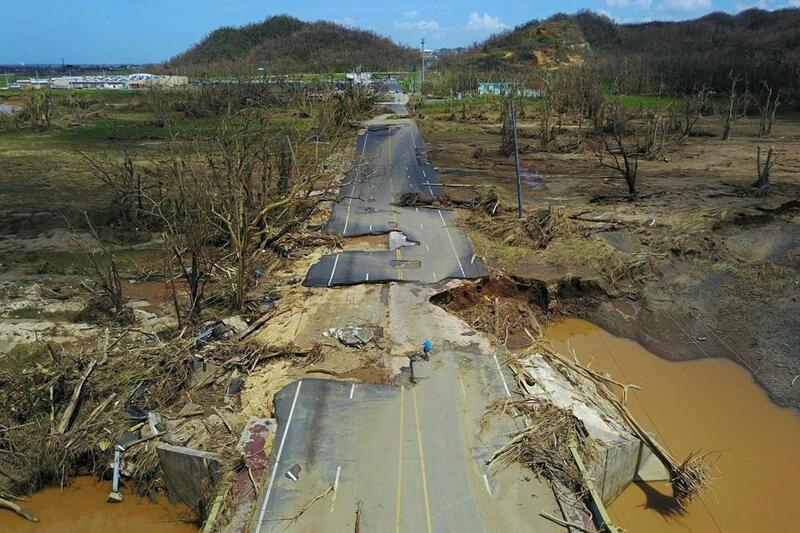 The troopers said they worked 12-hour days responding to 911 calls, directing traffic in areas where power outages knocked out traffic lights, and giving Puerto Rico police officers time off so they could rebuild their homes and take care of their families. When their shifts ended, Lawrence said troopers distributed water to neighborhoods. They moved around the island in Massachusetts State Police cruisers and got supplies and equipment from the TS Kennedy, a Massachusetts Maritime Academy vessel that was docked in Cataño, across the bay from San Juan. DeJesus, whose parents live in Puerto Rico, said the devastation was the most dramatic in the mountains, where the hurricane washed out roads and bridges. Power has been restored for his parents, but some of his other relatives continue to live without electricity, he said. During one trip into the mountains, DeJesus said he met a man from Oklahoma who tried to compare the storm to tornadoes in his home state. DeJesus choked up describing another scene he witnessed in the mountains: a man building shelter from what was left of his flattened home. “That’s the spirit,” DeJesus said. Ayuso, who lived in Loíza, Puerto Rico, until he was 10 years old, said he worked out of his cruiser, assigning troopers and coordinating with local officers. “They have hope. They have this attitude that we’re going to get out of this. We’re going to be back to normal again,” said Ayuso, who works at Logan International Airport. Lawrence, who works for the Salvage Title Section in Quincy, recalled meeting a 4-year-old, who approached his cruiser. Lawrence said he had candy, cookies, and crackers in the vehicle, but the boy asked for water.